Get 3 Free Minutes With Amber Now! 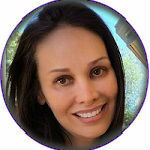 Amber is an extremely sensitive psychic medium, empath, and clairvoyant. Her abilities enable her to see future events in visions, to feel the feelings and hear the thoughts of others, and to know their hearts desires and motivations. Amber is able to communicate clearly with spirit and deliver messages from loved ones and guidance from spirit guides. Over the years, Amber has become an extremely well trusted, and loved Psychic Advisor. People come to know her knowing that they will always be treated with absolute respect, sensitivity and confidentiality. Your questions will be answered, and your messages delivered with honesty, kindness, and truth. There is no sugar-coating with Amber. Whilst messages aren’t always what we wish for, Amber will never leave you feeling negative, alone or let down. She will ensure you can see the path ahead that is beckoning. Seeing the bigger picture is key to your ability to build a happy and self-directed life, Amber will answer all your questions, whilst also ensuring you keep yourself focused on the bigger picture, and the achievement of your goals. Amber has worked as a psychic advisor for many years and has decades of experience in her craft. Used to working with people in all situations of life and states of mind, Amber is able to easily connect and harmonize with even the most sensitive of clients. Amber is very well known in her field, she is a member of the American Tarot Association, The Psychic Guild and studies psychology, human development and maturation as well as ever dedicating herself to her spiritual and religious studies. Have worked for decades as a full time psychic reader and clairvoyant. Providing readings in person, via telephone, email and instant messenger. Has more than 11,000 reviews available online to read and a wealth of client testimonials to provide confidence and reassurance to anyone nervous about having a reading. I like to get my tarot reading done.